There is only keycap Keyset in package,no keyboard included.The keycaps will be packed in keycap bag and then pack into our carton. The keycap is PBT double shot. 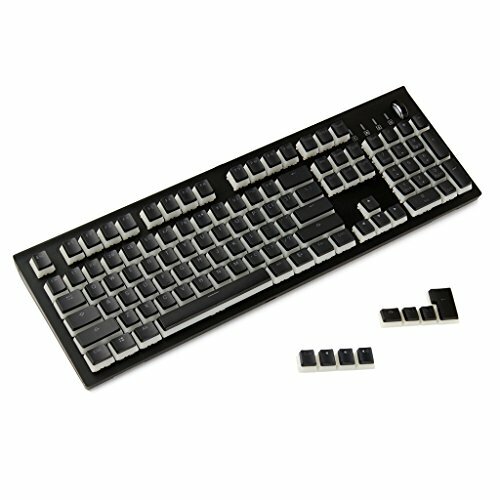 It can be used for most Cherry MX Gateron MX Kailh MX mechanical keyboard. If the spacebar is 6u 6.5u 7u instead of 6.25u,it can't be compatible,such as some HHKB Cosair Logitech Razer.You can order additional keys needed.We will produce special full set for them soon. Some old Cherry keyboard whose Spacebar Capslock back hole is different is not compatible. If some keys missing or broken on the way,just leave us message,we will send you missing or broken ones soon.Don't worry about it and don't leave feedback immediately. If you have any questions about this product by YMDK, contact us by completing and submitting the form below. If you are looking for a specif part number, please include it with your message.